Anglian Cloud Accounting gives you the freedom to access your critical business accounting data at any time and from anywhere where you have internet connectivity. Shrug off that straitjacket - cloud accounting frees entrepreneurs from the constraints of their accounts functions. Use the cloud to get access to your business data whether in the shop, office or factory, farm or depot, at home or at play. If you have a device with Internet connectivity you can be hands-on with your business. 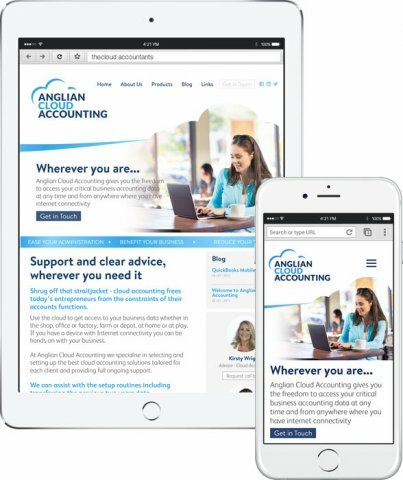 At Anglian Cloud Accounting we specialise in selecting and setting up the best cloud accounting solutions tailored for each client and providing full ongoing support. We can assist with the setup routines including transferring the previous two years data. Are you one of the 40%? What will the call be regarding?